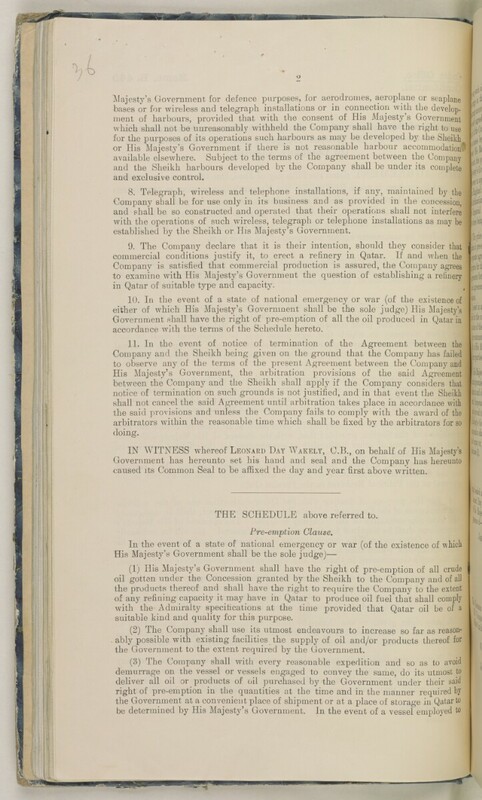 established by the Sheikh or His Majesty's Government. commercial conditions justify it, to erect a refinery in Qatar. If and when the ! accordance with the terms of the Schedule hereto. Government has hereunto set his hand and seal and the Company has hereunto ! caused its Common Seal to be affixed the day and year first above written. THE SCHEDULE above referred to. suitable kind and quality for this purpose. the Government to the extent required by the Government.